CLOSEOUTS. 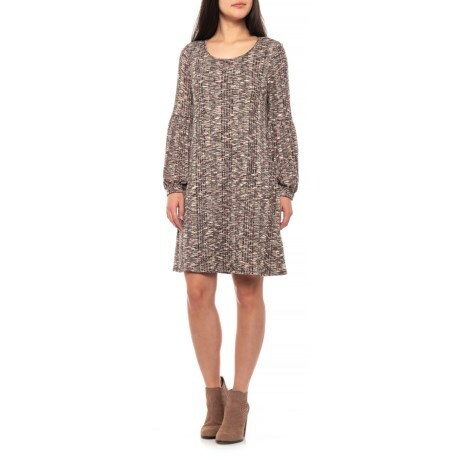 Paired with either flats or tall boots, this Cupio Blush balloon sleeve space dye dress offers versatile style for day-to-night adventures! Available Colors: DEEP EGGPLANT. Sizes: S, M, L, XL.